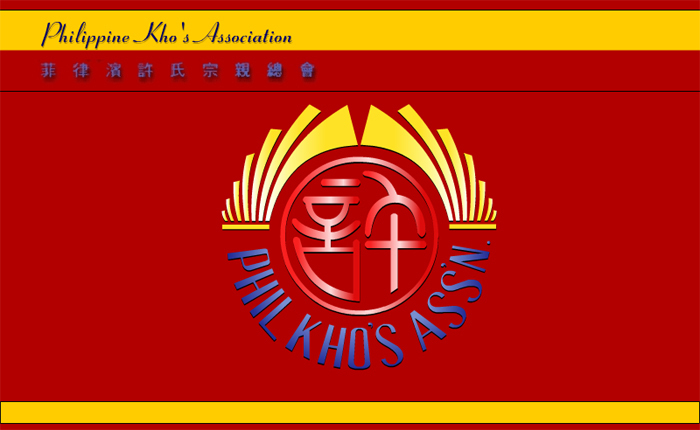 Our organization evolved from the former "Tai Yue Public Association", to "Philippine Kho Family Autonomous Association", "Philippine Kho Family Association" and to what is now known as "Philippine Kho Association". The name changed several times but the same association continued to journey the trodden path. Far from their home in China, our forefathers started an association in 1936 at Espeleta Street. The members who joined, shares the same surname, KHO. Thus the "Philippine Kho Family Autonomous Association". The membership grew, evolved and flourished into what it is now, solely funded by contributions of its members. In 1970, the title of the association was changed to what we now know as "Philippine Kho/Co's Association. With the progress of the association came in new officers and new by-laws to help facilitate its growing numbers and aiming to leave behind a great legacy to the next generation. All this would not have happened without the continuous cooperation and support of its members.